JK Tyre products are warranted against any deficiency in design, manufacturing, material or workmanship. This warranty is valid for the first owner of the product during its new life. Tyre(s) once repaired or re-treaded or worn through plies, ply exposed, manipulated or altered for defects/pattern/markings, Tube(s) repaired, manipulated or altered for defects / markings shall not be entitled for warranty claim. This warranty is valid for a period of 36 months for Truck/Bus tyres, 36 months for LCV tyres and 60 months for Pass. Car tyres - from the date of manufacturing or date of shipment or Tread pattern worn up to Tread Wear Indicator (TWI), whichever is earlier, irrespective of its service life or Kilometer covered. Tyres accepted under warranty claim will be on pro-rata wear based on measurement of Non Skid Depth and percentage Tread wear. All products received under warranty claim shall be inspected and dis-positioned by field Technical service personnel or trained and authorized Sales/Marketing personnel. Inspection findings of JK’s Technical Service personnel will be final. JK Tyre shall not be responsible for failure of companion tyre, or consequential losses or damages caused if any on account of tyre failure. Claim details to be forwarded to JK Tyre - Technical Service ( Export Department ), Link House, 3 Bahadur Shah Zafar Marg, New Delhi – 110 002 ( India ). Claim details shall be filled in the claim form ( format no. NEXP-09-FR-01 ) containing all the informations pertaining to Tyre size/pattern, NSD, Tyre Serial No., photo reference no., Defect, etc. Claim Form ( Format No. NEXP-09-FR-01 ) duly filled up along with photographs shall be sent through courier or electronic media i.e. CD, floppy, e-mail etc to above address. Frequency of claim form submission should preferably be either monthly / quarterly depending upon No. of claims or min. 10 nos. for ease of credit settlement. JK shall confirm receipt of claim data to the distributor. JK may seek additional information / data if required for processing the claim. On receipt of claim details, JK will record the same in Claim Inspection Report ( CIR - Format No. NEXP-09-FR-02 ) and shall assign a unique Claim No. for each claim based on Region / Country . This claim no. will be used for future reference / follow ups. 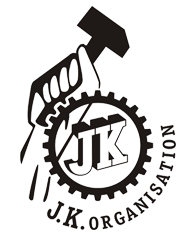 JK Technical Service personnel will thoroughly investigate the claim details/photos for defects. Based on the findings, disposition will be given in the CIR. Settlement of adjusted claims due to manufacturing defects will be on % pro-rata wear basis. Importer / Distributor should dispose off the Claim tyres after peeling off the Serial nos. after settlement . These are to be sent to JK ‘s office, New Delhi. JK will consider Unit Price of Tyre, Tube separately or as set depending on the defects for claim item applicable at the time of Invoicing / Shipment for calculation of claim amount. Inspection findings of JK’s Technical service personnel shall be final. CIR will be sent to the Importer / Distributor for his acceptance by way of signing & stamping and returning back to JK along with the Bank details. Accepted CIR will be sent to the Accounts Department for remitting the claim amount to the Importer / Distributor who will further credit the claim amount to the customers with an intimation to JK. Remittance will be through DD or TT.